Having been a southern girl for most of my life, there are some things that I haven’t seen much. I also have not traveled the country extensively as many of my peers have done. So I find certain sights quite noteworthy or at least worthy of a second glance. Chipmunks are one little creature that do not naturally inhabit the state of Florida. (okay they are in the panhandle but that’s really southern Alabama) So they are a treat to the eyes as they quickly scurry about. I was happy to find one open to being photographed at the Anderson Japanese Gardens. They are accustomed to having folks around their trees I guess. 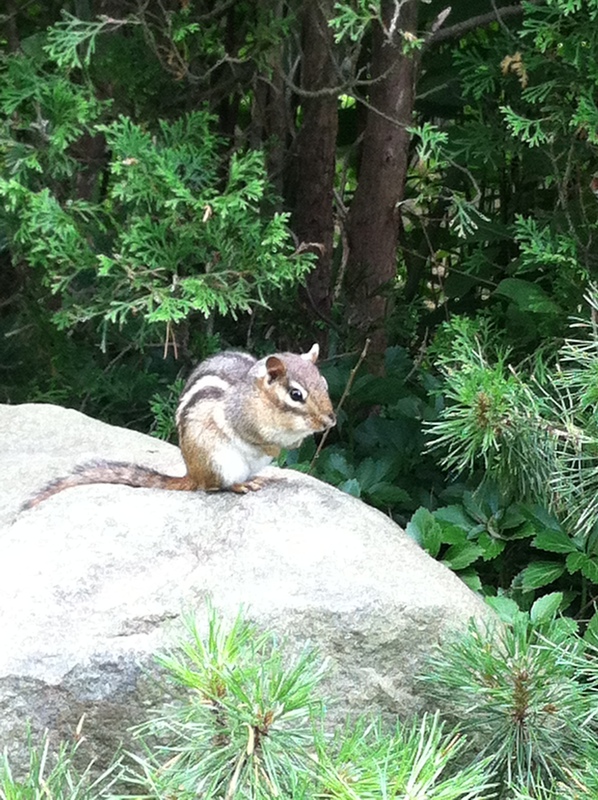 Chipmunks,always adorable, but more so when you don’t see them often. 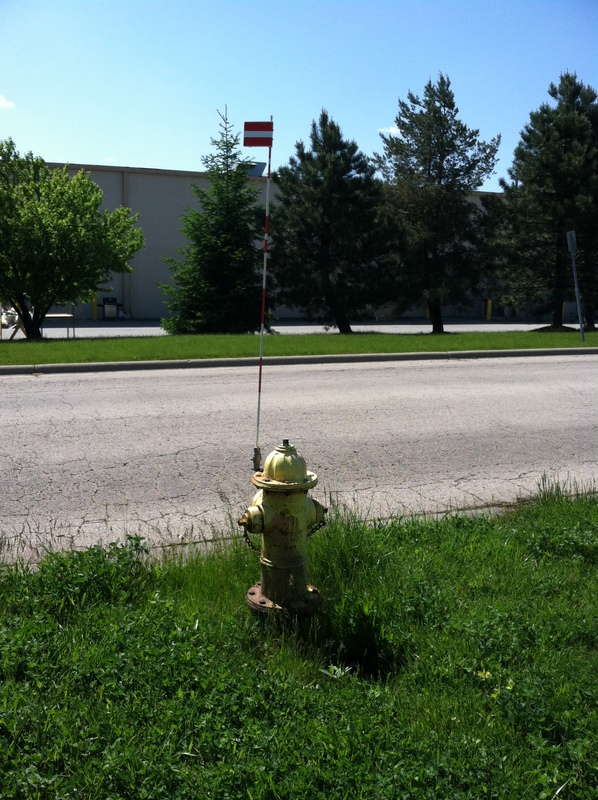 Another would be that fire hydrants here are designated with a flag. Now if I had only been in Illinois in the summer, I would be completely befuddled as to why the firemen wouldn’t be able to see a big yellow fire hydrant on the side of the road and would need a flag to find it. I know that old people tape a flower to their antenna occasionally to find their car in the parking lot but firemen on duty, hunting down a fire hydrant? Ah but since I was here in the winter months and snow season and saw many mishaps and misjudging as to where streets and driveways had gone, I know that flag is to indicate the presence of a fire hydrant. Another picture that you won’t find in a Florida photo is one of lilacs. 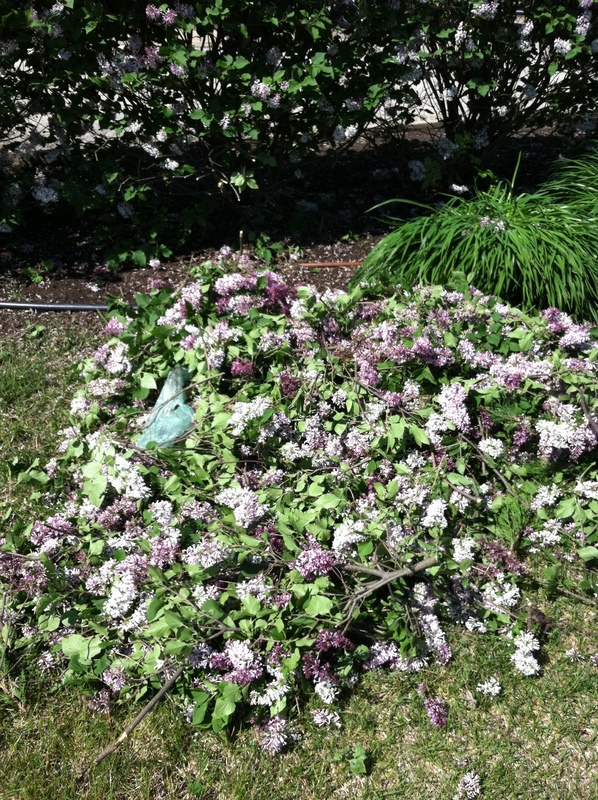 The fragrance of lilacs brings back memories of being a little girl in western Pennsylvania. We had them in our yard and when we would play Red Rover and run to the end of the yard, we would run right into the fragrant, colorful lilac bushes. I don’t recall seeing them blooming since then until my extended visit to Illinois. They are in fact, so prevalent here that they trim them up and toss away the blooms with little regard for their value, to us, at least. Now, let’s talk about food. The Midwest isn’t called America’s Breadbasket for nothing. The opportunities for eating scrumptious food are endless. The downside is that Rockford has been given the dubious title of 4th most obese metropolitan area in the U.S. But let’s not talk about that right now. I know that we have bakeries and eateries in the south that conjure up mouth watering memories but none that compare to what I have seen here. (except for my LaMarrs Donuts in Oxford, Alabama!) Bread, rolls, danish, Swedish pancakes and let’s not forget world famous Chicago Pizza! I’ve used tremendous restraint in limiting my indulgences but I had to have a photo to take home with me. Yes, I DO love my carbs! 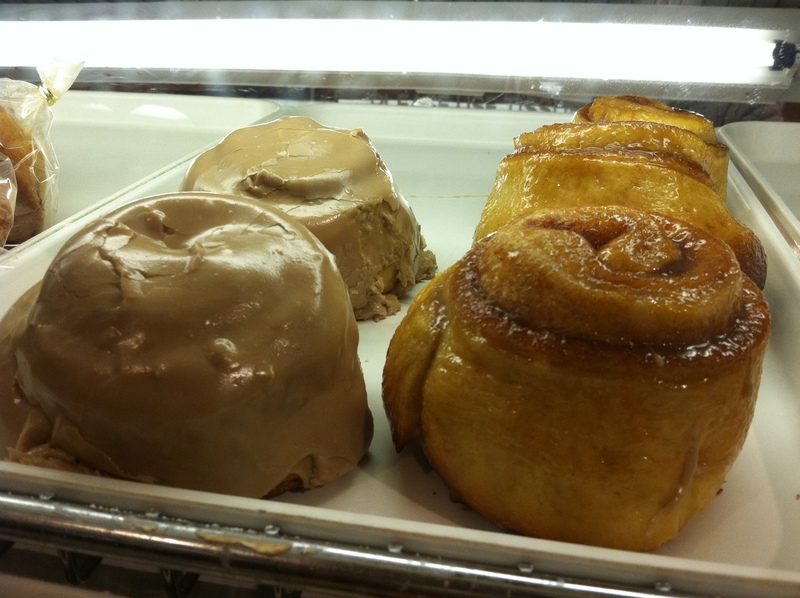 So thank you Midwest for making my sweet roll dreams come true. This entry was posted in Informative and tagged Anderson Japanese Gardens, bread basket, chipmunk, fire hydrant, Florida, lilacs, Midwest by bizspouse. Bookmark the permalink.